I recently was given a Monogrammed Throw Blanket to Re-Work. The original Monogram was done with a very wide Satin Stitch. 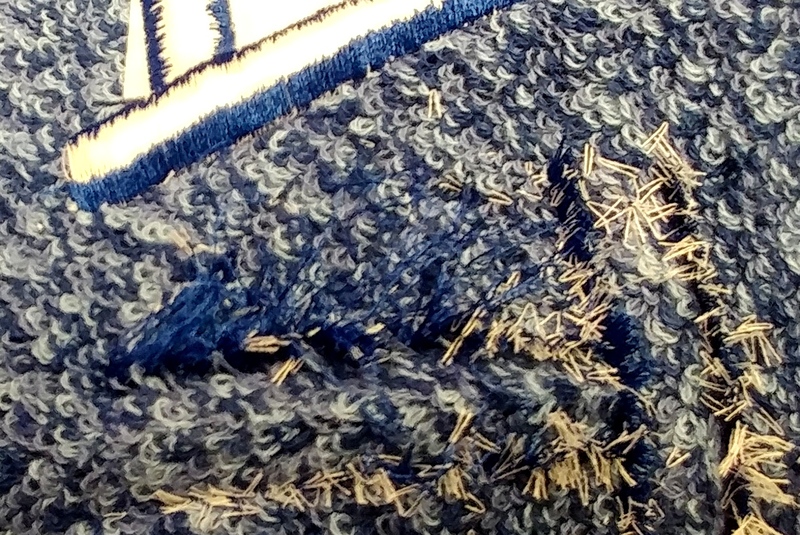 This kind of stitch does not “wear” well as the stitches can be very loose and prone to snagging and pulling. In addition, if you look closely, you can see the loops of the blanket actually beginning to work their way up through the embroidery thread. 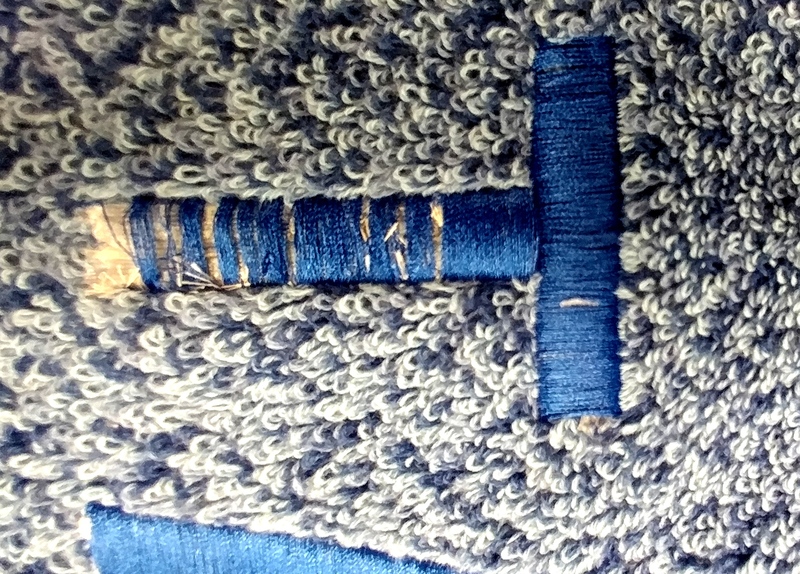 A Water Soluble Stabilizer (WSS) used as a Topping at the time of the original stitchout held these loops back. With time, and washing, this topping dissolves and is no longer able to hold these loops back. The same thing happens with a Terry Cloth Towel or a napped fabric like the Christmas Stocking featured in previous posts. Even if you don’t wash the item, Water Soluble Stabilizer dries out over time and can become brittle and flake away underneath the embroidery design if there is enough room under the stitches as in the embroidery below. 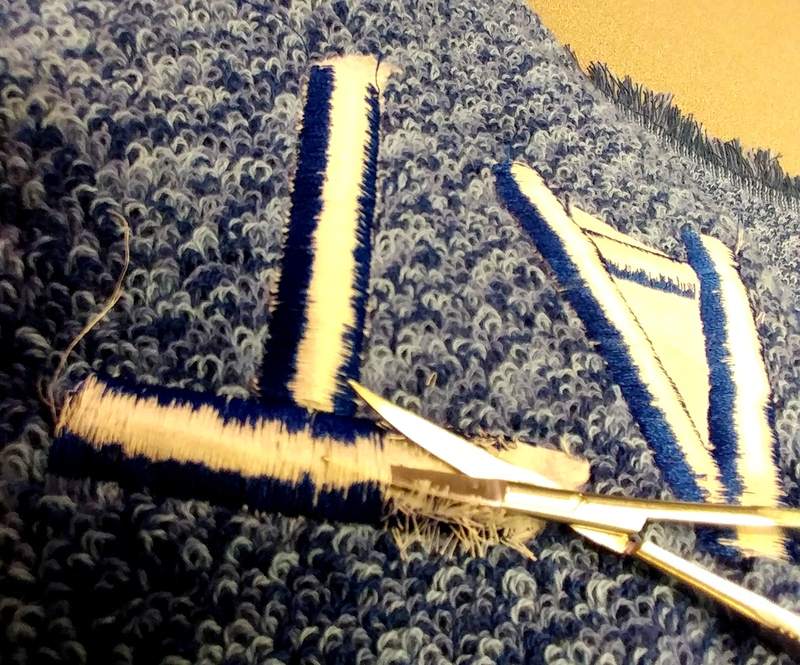 Fortunately for me, the same thing that makes this stitch style a bad choice for the blanket, makes it a very easy “fix”. I simply slid the tip of my Snip EZ Scissors and Snip, Snip, Snipped my way across, underneath the Bobbin Thread. The Squeeze Action of these Scissors make them a dream to use for cleaning up thread tails on the back of designs as well as this type of project. I especially love these Snips because they are so easy on my hands. My thumbs no longer work well and my fingers are stiffening up. I can use these for extended periods with very little pain in my hands. Even when you have good hands, working regular Scissors for long periods can become quite painful.